This agarbatti stand would be the perfect addition to any puja set. 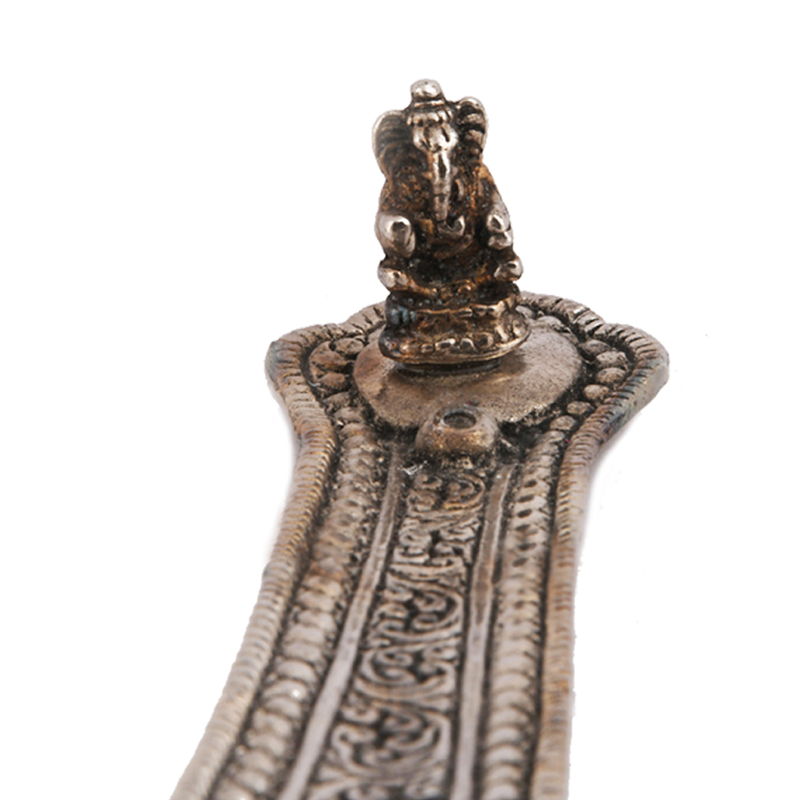 The elegance of this agarbatti stand is what makes it a best seller. 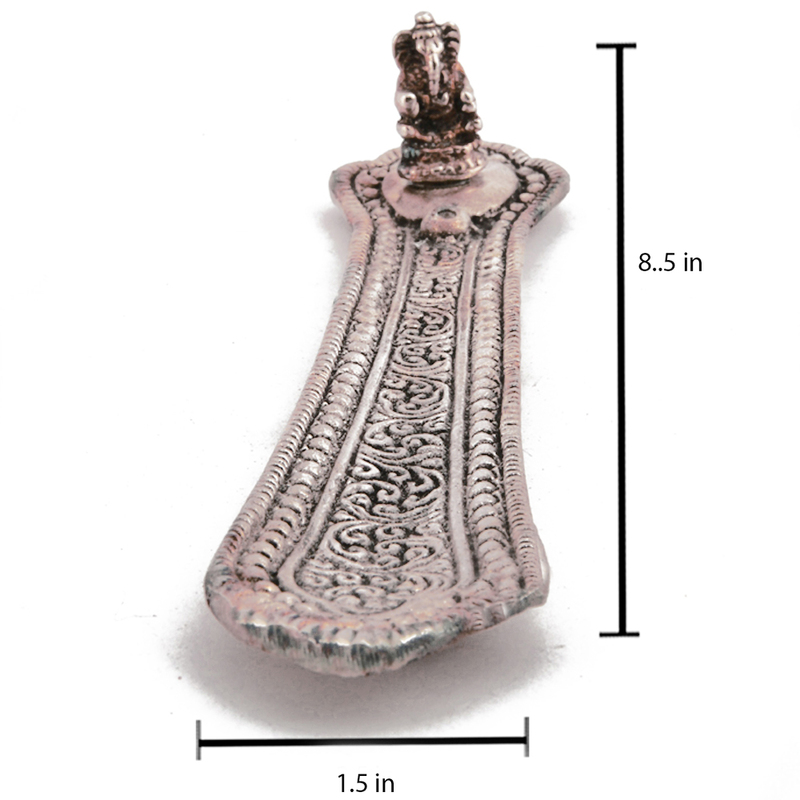 This agarbatti stand is made entirely from oxidised metal. 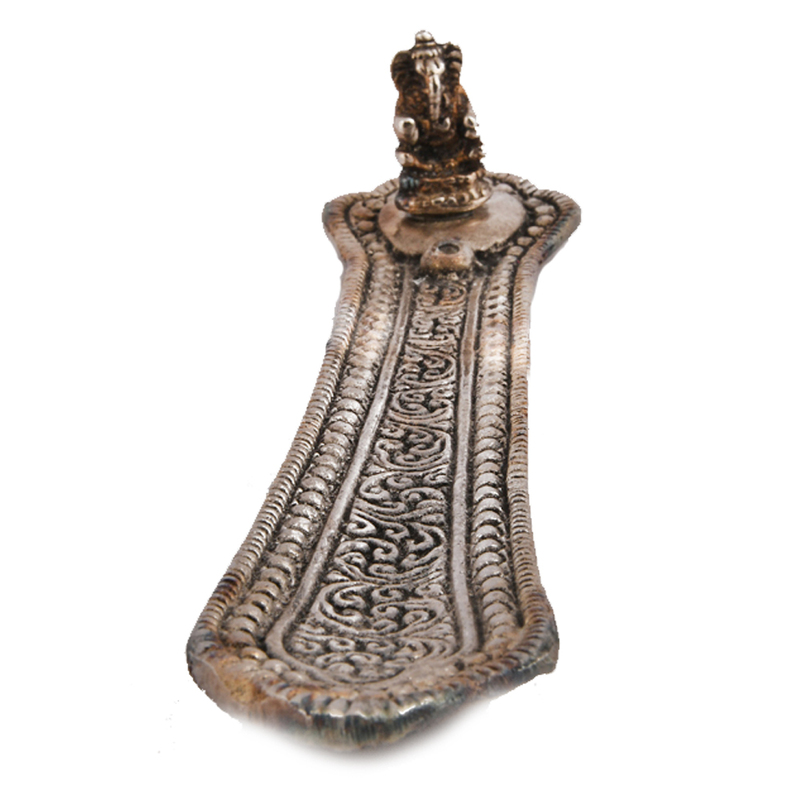 The quality of both the material used, and the craftsmanship are reasons enough to buy this Read More..agarbatti stand. The flat design ensures that it does not take up much space. This agarbatti stand is mainly used in places where the height is a main factor, like if an agarbatti were to be placed in a cupboard. The engravings of this agarbatti stand stands out the most. There is a little fih\gure of lord ganesh on the top of the stand, where the agrbatti are to be fixed. Show Less..